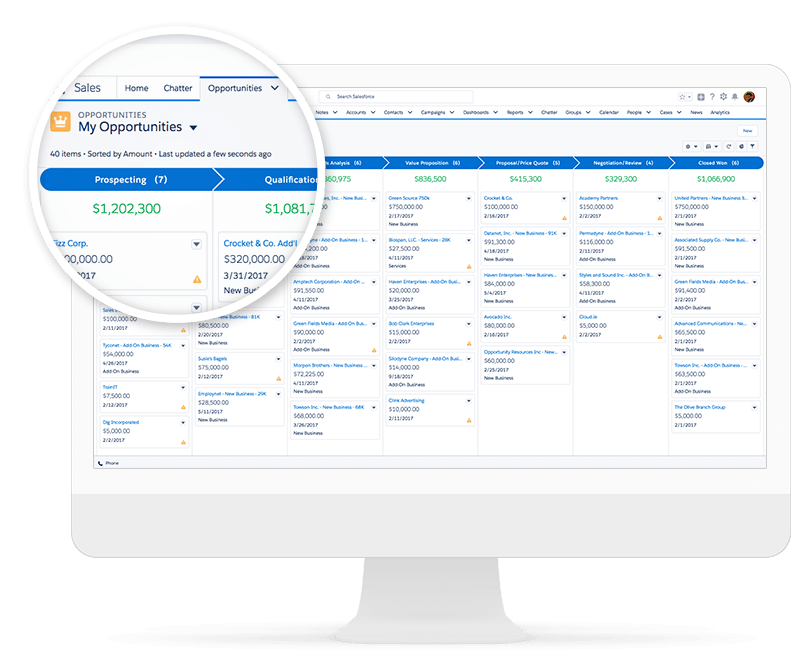 Salesforce Lightning UI is the user interface Salesforce rolled out back in 2015 to replace the Classic UI, and has been making it better ever since. It comes free as part of any Salesforce subscription, and adds many great features for the users, but still many organizations are not familiar with it and stay with Classic UI. It drastically improves the Users productivity within the platform. 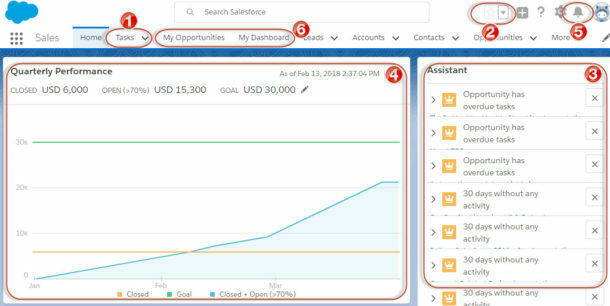 Lightning users report 30-40% productivity boost within the Salesforce.com. It is the interface to get all the new features and improvements, where going forward Salesforce Classic UI will mainly receive bug fixes. Lightning UI brings slick and customizable layout, by using components to optimize the utility of the information presented on each object. This allows the platform to be customized to better support the business process flow and reduce the number of click users need to make. You get to decide the layout of the components and the conditions under which they should appear (E.g. – A revenue chart appears on the account record only if it is also a “client”). Component with Tabs – avoid the endless scrolling and find information by categorizing it with tabs. You decide what tabs to add for your users. In this example users can access the record Details, Related records, and related Reports. 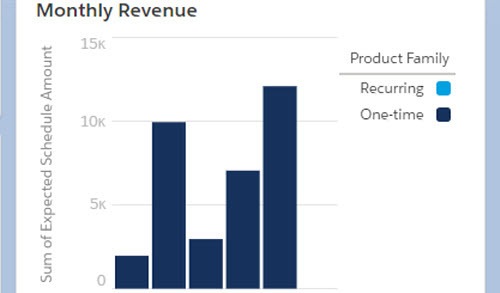 Report Chart component – similar to embedding charts to the detail page but better, because it can be placed anywhere, and can be displayed conditionally. Potential Duplicates component uses your de-duplication rules and tells you if a duplicate record is found. 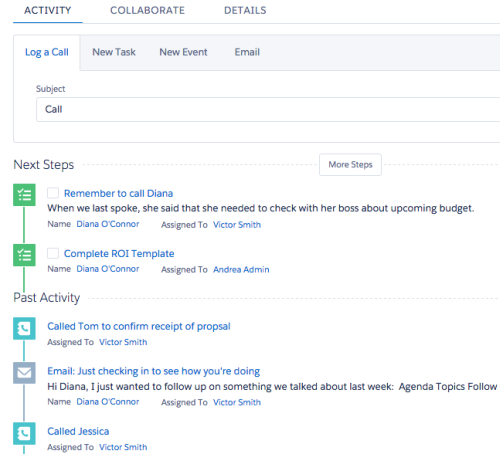 Allows users to easily create a New Task, Log a Call, create an Event, or Send an Email. New Lead Conversion Screen is very slick and easy to use. It adds the ability to associate the lead with an existing opportunity. Pop out to dock view allows you to navigate away from the current screen. Docked emails can be complete later. Sending mass emails is drastically improved over Classic UI, and is done directly from theContact list view. 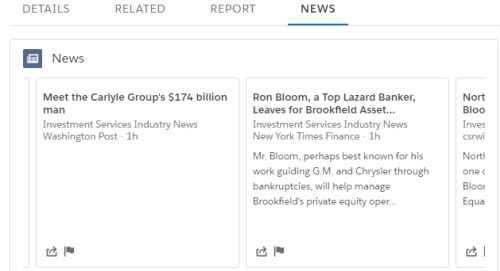 Enhanced List Views – The record list views come with great enhancements to boost productivity. Add a chart of the displayed records with a click of a button. Viewed and edited records without leaving the screen, from a pop-up dialogue. The Kanban view, which visually represents the records in a list, grouped by a selected field, where the users can drag and drop records between groups. Tasks have their own Tab (1) The tab lists existing tasks and allows the user to toggle through them and see and edit their details without leaving the screen. The Favorites tool (2) “bookmarks” records, reports, dashboards, etc. for quicker access. The Home Page has an Assistant (3) to show new Leads and neglected Opportunities. Also, a Performance Chart (4) shows the user’s quarterly Goal vs the currently achieved and expected. The Notification bell (5) shows tasks due, approval requests, etc. Popular List Views or Dashboards can be saved as Custom Tabs (6) to speed up the access to the records (does not work in Console). The Reports, Charts, and Dashboards have been updated to show modern look and flexibility. 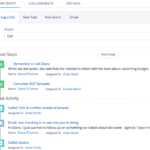 The Calendar – Along with scheduled Events, users can create a custom calendar to track Salesforce records. For example, salespeople can plot the closing dates of their opportunities in their calendars. Also, they can share calendar and view shared calendars. The Chatter streams – allow users to create custom streams to track conversations and activities related to records, groups, users or topics they are interested in. The Notes – in Lightning users can take notes and easily relate them to multiple records and users. This improves the notes’ visibility, making them easy to locate under the related records. When creating a new US Account, the system auto-completes the Name, Phone, and Website for the company you want to add. The Hierarchy view now allows the displayed columns to be customized. Give us your favorite Lightning features in the Comments section below. If you need help implementing Lightning for your team, please contact us. Filed under Lightning UI, Salesforce.com. I added your web into my bookmarks.